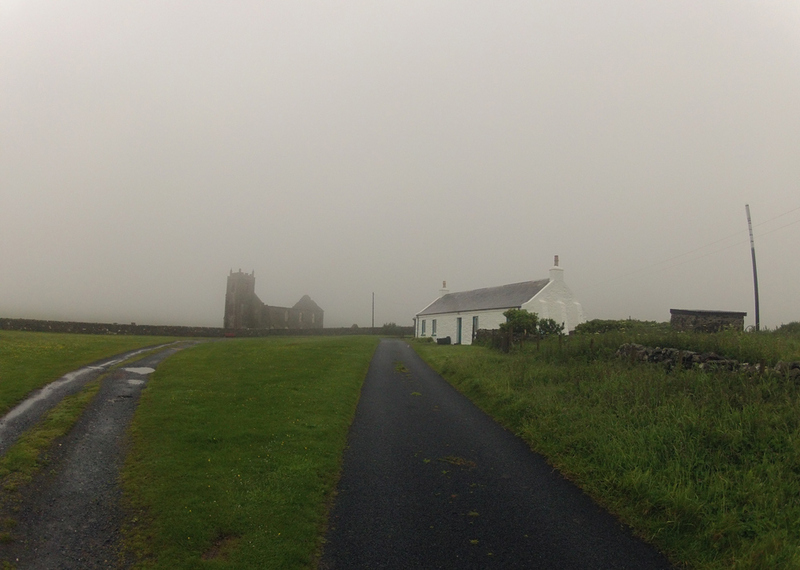 The crags and hills behind it have completely disappeared in the rain and mist, only Kilchoman Church and the cottage are visible on this rainy day on Islay in June 2012. This entry was posted in Cloudy Weather, Landscape, Repost and tagged Islay, Kilchoman, Kilchoman Church, Rhinns of Islay by Armin Grewe. Bookmark the permalink.